A craftsman is defined as one who creates or performs with skill or dexterity in the manual arts. 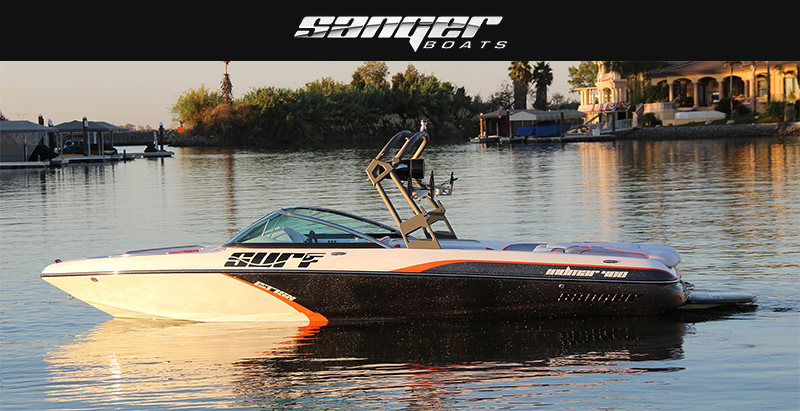 At Sanger Boats, craftsmanship is still an art. 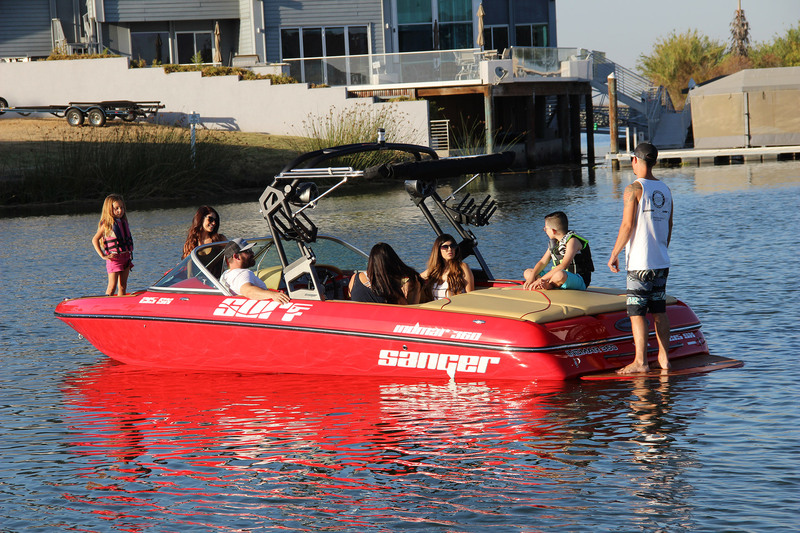 We still build our wakeboard boats and ski boats with precision and care, one at a time. Every one of our limited production masterpieces take shape in our ten acre facility in the heart of California’s central valley. The climate in this area has proven to be the perfect blend of heat and humidity for producing the world’s finest boats. Each boat is rigged by one individual. This ensures that no function was missed, unlike mass production facilities. Almost all of our small parts are built under one roof, to ensure that you receive the best quality that money can buy. Little details like through-bolted motor mounts and bilge pumps that are mounted to aluminum plates ensure the manufacturing integrity. These are just a few samples of our quality that separates Sanger Boats apart from the competition. You won’t find us spending big bucks in expensive magazines or sponsoring high-price athletes to gain market share. We depend on the thousands of satisfied customers and our reputation, thus saving you thousands of dollars and allowing us to focus on what we do best, building the best quality boats for an affordable price. In 1972, in Oakland, California, Larry Schwabenland won the fastest clocked blown-fueler on the ¼ mile course at 205 m.p.h. 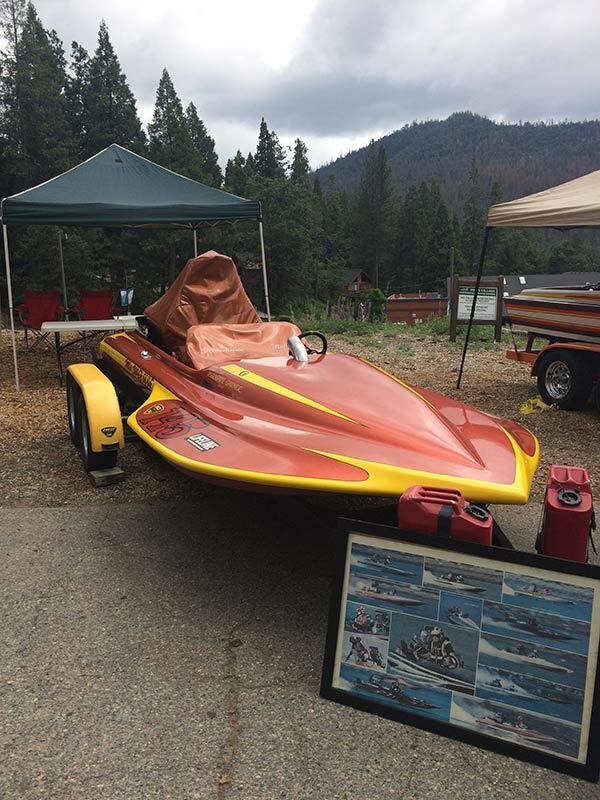 After this record setting run, Jack became an icon of the boat racing industry. 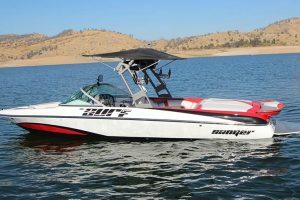 Sanger race boats were the boat of choice for many in the industry. Jack became known as “Jack the Bear” because people constantly wanted information from him while he was at the races and he did not like being bothered all the time. At the age of 16, Jack’s son Mike began working with his dad and racing his hydro/flat bottom, the “Hot Tuna”. Jack’s daughter Kathy also started working with Jack at Sanger Boats. The 70’s was a time of retail sales for Sanger. During this time, Jack began Stellings Marine Products, selling marine hardware through the catalog he created. 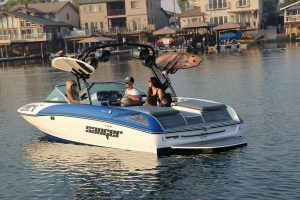 In 1979, due to the changing economy, the boat industry became depressed and Sanger shifted gears into family boating in the 1980’s. This was also the year Jack started his off shore header business. This venture began when Jack attempted to purchase a set of off shore headers from another company and he was informed to “wait”. The “Bear” couldn’t wait! 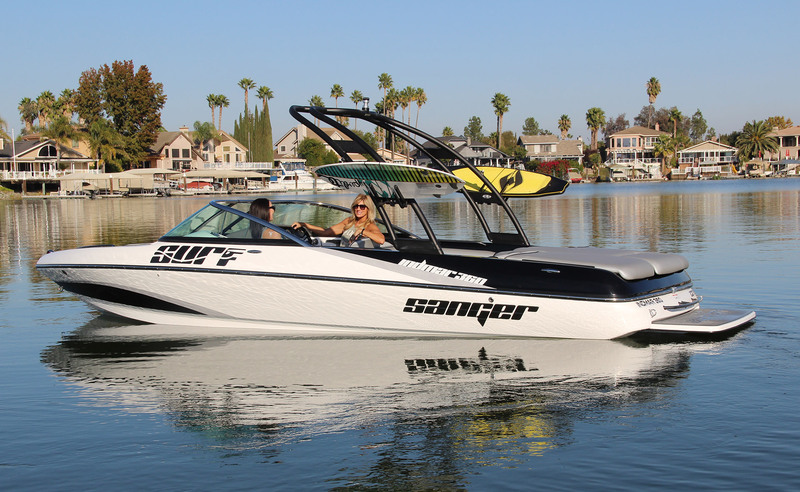 Sanger stopped selling boats retail in 1987 and began selling to a distributor. During the 90’s, Jack started building Alley Cats. These boats were designed for off shore racing and boating. He built a 20, 23, 29, and a 30 foot model. These were built on a special order basis. Jack built the Alley Cats for his own pleasure because it was a boat he could take out on the California Delta. Jack’s main focus during these years was his off shore header business. 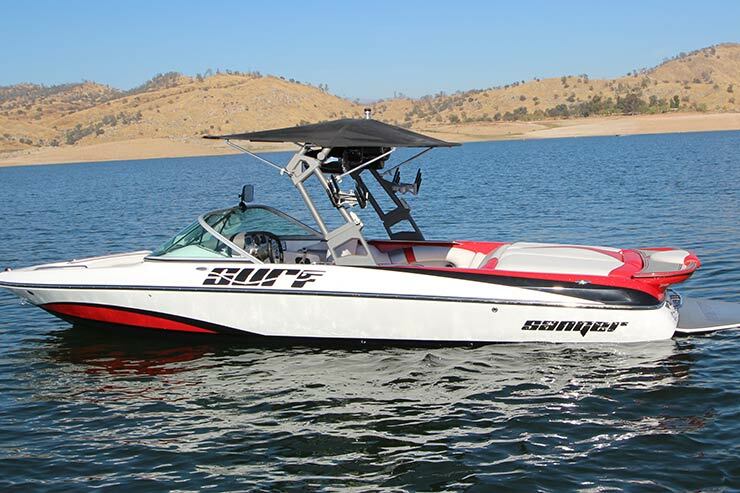 Mike continued, closely with Jack, designing the Sanger family boating models and is still designing today. In 2000, Jack built two 32 foot Alley Cat models. One was for himself and one he sold. In 2001 Jack passed away. Jack worked everyday at Sanger Boats. 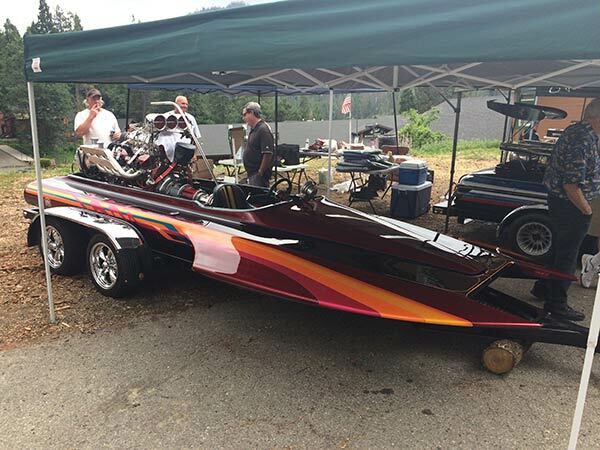 He always said, “I’d rather die working than die in a rocking chair.” He loved building boats and off shore headers, and he was able to see that love fulfilled in the success of the two businesses he created. From flat bottoms and hydros, to cruisers and off-shore alley cats, Jack built them all. He was well known for his hydro boats in the early 1970’s and went on to become famous in the boating industry. 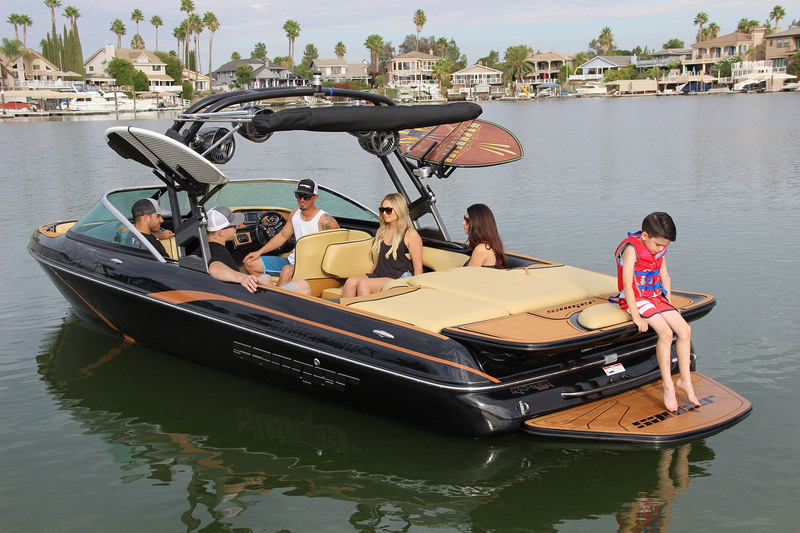 Jack was always on the cutting edge of boat design and adapted easily to the current demand of the industry. Building a high quality, hand laid wood and fiberglass boat from the ground up was Jack’s specialty. Today’s boats are still built with the same focus on quality and craftsmanship. When you see a Sanger Boat, you know you are seeing the best quality possible in the industry. Sanger Boats is a second generation company that lives on today through siblings Mike and Kathy Davidson. This company was started by Jack and is owned exclusively today by Kathy and Mike. Today’s boats are designed by Mike. Mike worked beside Jack since childhood and learned the art of designing a unique, quality boat from the best. 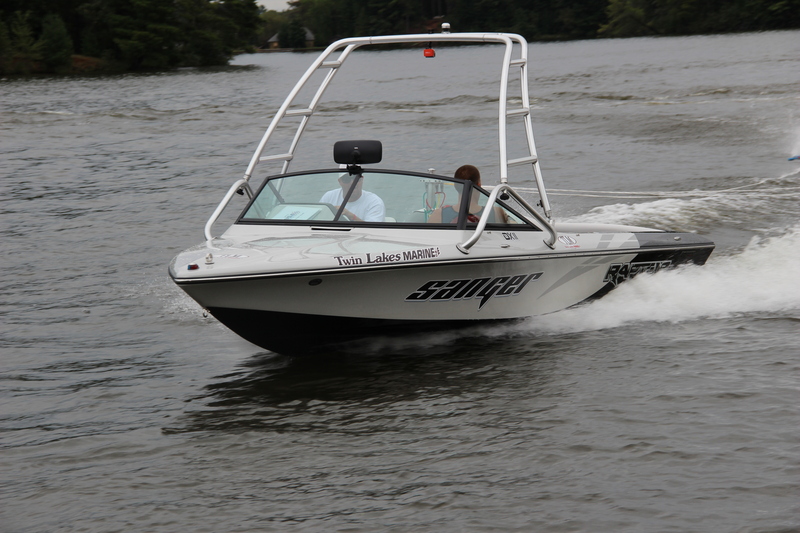 Today, it is Mike who is on the cutting edge of boat design for the current industry demands. Kathy manages the day to day business operations of Sanger Boats and Stellings Marine Offshore Headers. Kathy continues her father’s passion for the offshore headers and boating adventures at the Delta in California. She enjoys boating on the Delta on one of Jack’s 30 foot Alley Cats. Kathy has also expanded with a new division called KD and Company. Through this company, Kathy creates all the unique “Sanger” apparel you see today. You can still find the well known registered logo of the “hydro guy” on many apparel items and accessories. KD and Company has a full line of Sanger accessories and apparel, as well as gift items for your pleasure.